First up, these shoes. I discovered them from Tori the other day when she posted this picture on Instagram. I have been truly wanting a pair of hot pink heels for what seems like forever, so when I realized they were just like the cobalt ones I have, I knew these needed to be mine too! Like Tori said, the height of the heel is perfect on these & the cobalt ones are always an eye-catcher, so I'm guessing these will be too. 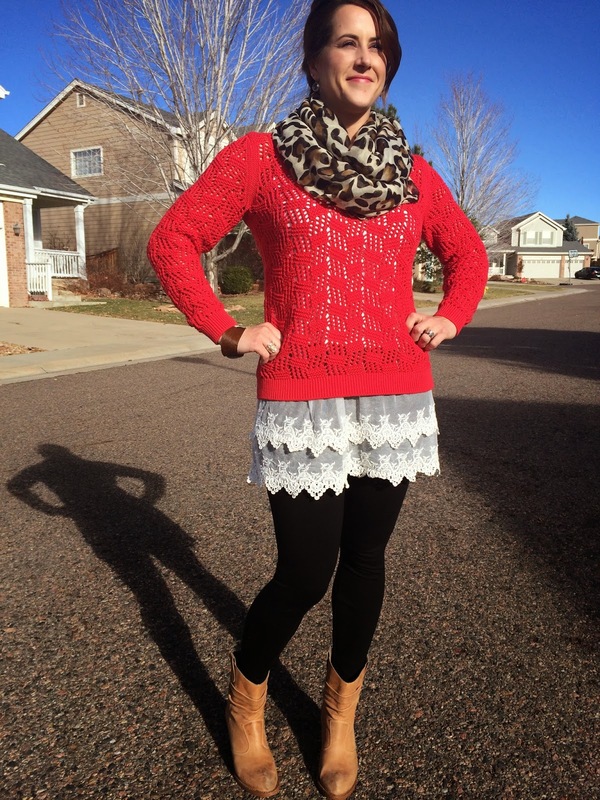 Next up - in this post I talked about how great Lace Top Extenders are for adding length to your top so that you can have added coverage when wearing leggings or skinny jeans. I was in Evereve (formerly Hot Mama) the other day & they are now carrying them in-store in a variety of colors. They did mention they are flying off the shelves whenever they are re-stocked, but its a great option for a local purchase (or you can buy online through them too). Also currently at Evereve they are offering an additional 20% discount off already marked-down items. I was able to get this dress & one other for under $25 each with this sale, so its a great time to shop their stock! The last follow-up we have for you today is related to this post. Stacie mentioned that she was going to experiment with different shades of lip color to use as a "color pop". 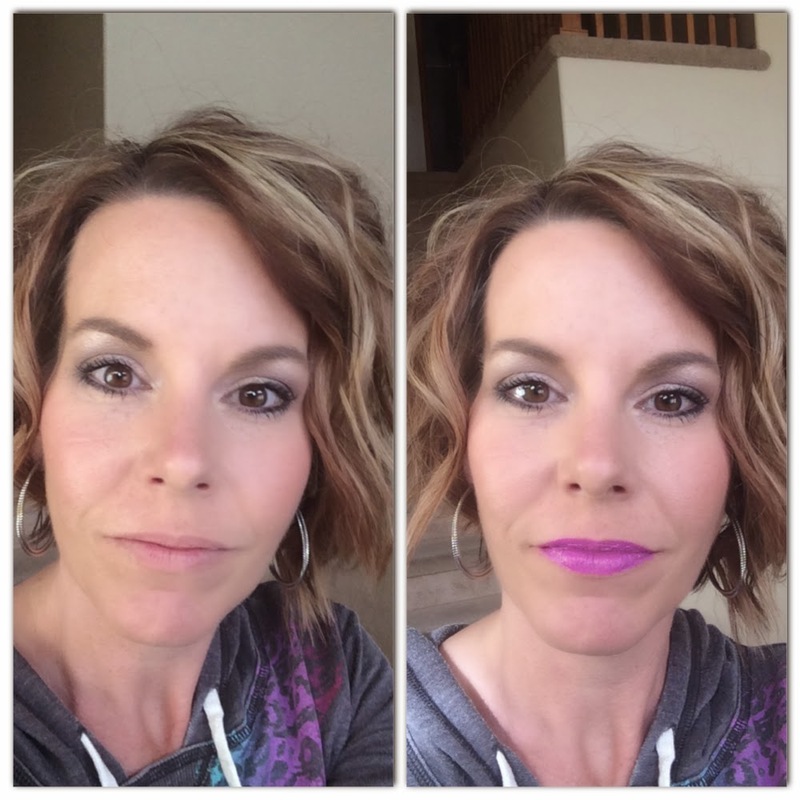 Here's a new favorite of hers using Too Faced, Melted Violet. As you can see, even though it's makeup, it adds a bold finishing touch to an outfit - a perfect way to dress up a casual look with a pop of color on your smile!! Happy weekend to you all - stay warm & safe if you're getting weather this weekend (like us, boo)! Oh man. You just sold me on cobalt and hot pink shoes!! Those are gorgeous! I just wish they came in a wedge version! I always feel too dressed up if I wear pumps for my day-to-day stuff. 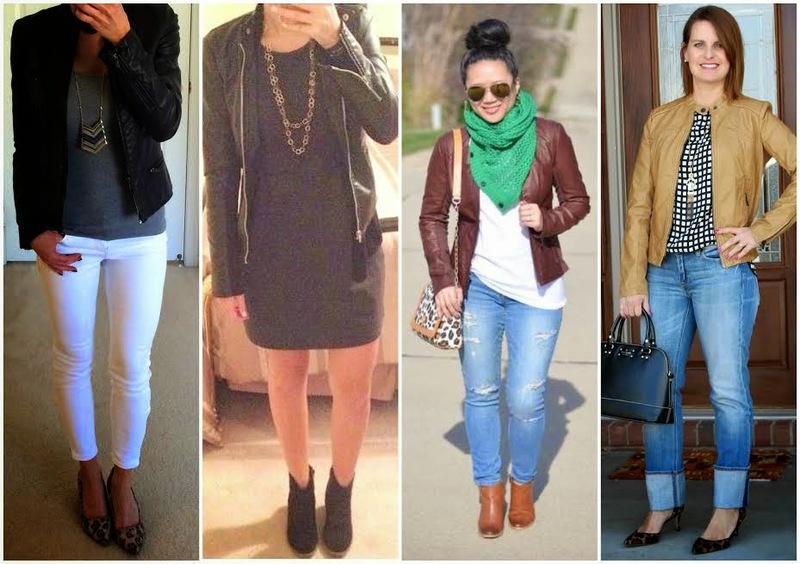 Love that we were on the same page with the moto jackets, and Stacie does such a great job with her makeup! 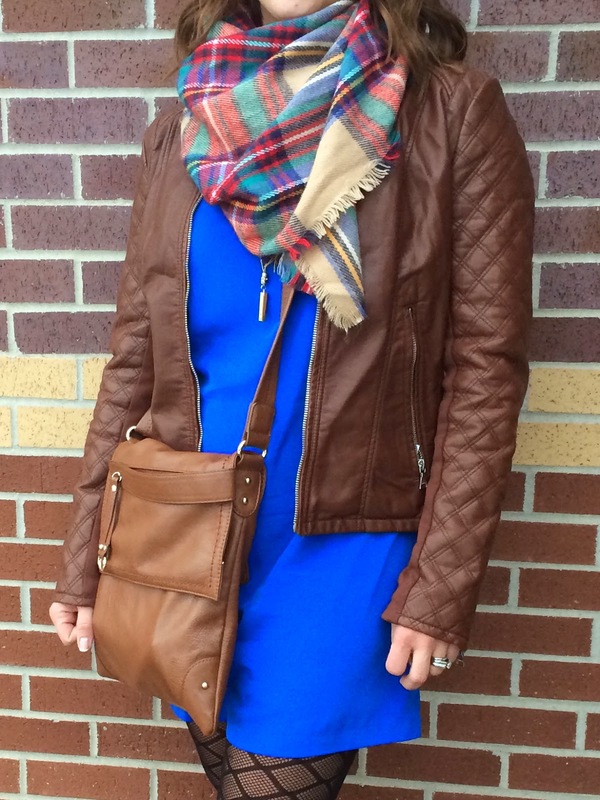 I need to go back to the coffee date post and remind myself what she wears! I actually have both the cobalt and the pink pairs. You are right that the heel height is so perfect and they are the perfect touch to any outfit. And the price! Can't beat it. Old Navy has the best shoes. Love the lipstick, Stacie. And thanks for the feature! It made me smile and I needed that today. Ohhh I love those heels! They do have just the right heel height which is hard to find. They always seem either too short or too tall. It's amazing what a difference lip color makes. I've noticed especially in taking pictures for the blog. I used to never wear lipstick. It seems like if I don't have some color on my lips disappear! Those shoes are AWESOME! Love the color. And I've been wanting something longer to wear under shirts. That lace hem might be perfect. Hope you're having a great weekend! Thanks for linking up with us at H54F! Thanks Katie - I'm excited to get the shoes in because I think they'll be awesome too ;-) Yes, try the top extenders - I think you'll love them!! Thanks for stopping by!